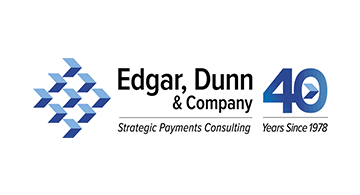 Edgar, Dunn & Company is an independent global payments strategy consultancy. Founded in 1978, the firm is celebrating its 40th anniversary and is widely regarded as the leading trusted adviser in payments and digital financial services. Edgar, Dunn & Company provides a full range of strategy consulting services, expertise and market insight. Our clients include FinTech lenders and the global payment brands, issuer and acquiring banks, processors, and merchants, including hotels, airlines and international omnichannel retailers.